Still building upon on the buzz of their excellent 2017 debut, Loner, Austin anthemic, electro rock duo MISSIO return to town on Feb. 20 to headline The Basement East, along with another buzzworthy and complimentary, though decidedly different, act, Cleveland blues rock outfit Welshly Arms, who broke out last year with their Legendary EP. Kicking off this eclectic bill is local singer-songwriter and prolific guitar collaborator Bones Owens, who’s been ramping up his solo appearances since last year’s Make Me No King EP. A diverse and well-rounded trio of acts, this is a rare chance to catch three performers at really exciting moments of musical ascent, and you can still grab tickets right here! We’re also excited to announce that we’re giving away a pair of tickets to one lucky fan, so read on for more about the show and enter for a chance to win below. Winner will be announced Monday, Feb. 19 at 12 p.m. CST, and will receive one pair of tickets. Good luck! 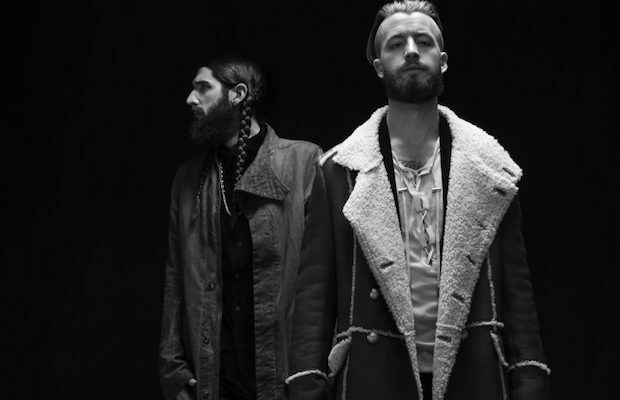 Win Tix to MISSIO at Basement East! MISSIO, Welshly Arms, and Bones Owens will perform Tuesday, Feb. 20 at The Basement East. The show is 18+, begins at 8:30 p.m. (doors at 7:30 p.m.), and tickets are available to purchase for $15. Diamond Rugs Are Coming To Nashville… So Check Out Their NSFW “Blue Mountains” Video!